The Independent National Electoral Commission has expressed concern over the low level of participation of women in politics in the country. “We are passionate about fostering women’s participation and political visibility in Nigeria. “Our current ranking on the ratio of women’s political representation in Africa still leaves much to be desired. “As the largest democracy in Africa, it is expected that our gender parity performance in politics and elective positions will complement our leadership position on the continent,” Attahiru-Madami said. He said the commission looked up to women in the country to make the 2019 general elections the best Nigeria had ever had. According to him, INEC is prepared to ensure that the 2019 electoral process was free, fair and credible. “To achieve this, every segment of the society must be carried along and measures put in place to protect them against vulnerabilities they might be predisposed to,” he added. He said violence against women in an election violates the human right provisions protected by international, regional and local instruments on women’s political rights as voters, candidates, election administrators and observers. “Violence against women distorts the purpose of democracy by suppressing and denying women who account for nearly half of the total population of electorate, their right to freely participate in the electoral process. “Considering that electoral outcome is expected to reflect the political wish and aspiration of the totality of the voting population, exclusion undermines the legality and legitimacy of electoral outcomes when electoral processes are marred with violence against women,” he added. He declared that in building an inclusive democracy for the country, violence against women in elections must be identified and isolated. “This is important given the fact that violence against women in elections exacerbates gender inequality in politics and public life,” Attahiru-Madami said. He noted that INEC’s constitutional mandate was to build an inclusive democracy devoid of discrimination against any sector or segment in the society. “As the electoral body, we are committed to ensuring that all players in the electoral arena abide by the rules and regulations guiding the electoral process. “We work to ensure that vulnerable groups, including the women, youths and persons living with disabilities are not taken undue advantage of by seemingly stronger and dominant factors in politics. “To ensure we remain on track in the quest for inclusion we sought to mainstream gender in the electoral process. “The commission introduced the INEC Gender Policy and Implementation Framework in 2014 and has been working with it ever since INEC understands the value of partnership and collaboration with critical stakeholders in promoting women’s participation in politics,” he said. Attahiru-Madami said the seminar was aimed at developing strategies for mitigating violence against women in elections. “There is a global consensus that gender-based violence manifesting as psychological, physical and sexual threats are becoming a major impediment to the actualisation of women’s political rights and aspiration,” he said. 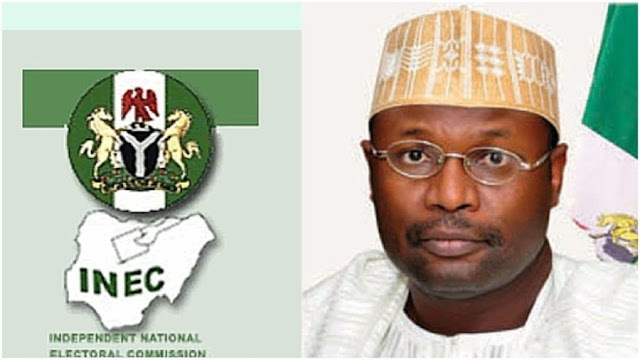 The REC added that INEC was gender sensitive in its appointment both at the national headquarters and state offices. According to him, there were three women National Commissioners supervising three states each while four women were directors in important positions at the headquarters, adding that INEC Secretary is a woman. The Commissioner of Police, Bashir Makama, represented by the Police Public Relations Officer, DSP Ajayi Okasanmi, said the security of women during the coming elections was assured. He said the commissioner had made adequate arrangement for the security of lives and property during the elections. “The Police Command is ready to ensure that no violence comes upon any woman during the elections,” Okasanmi added.